Stuffed Samosa Curry Buns: Soft, delicious buns that’s filled with spicy samosa stuffing with a hint of curry. 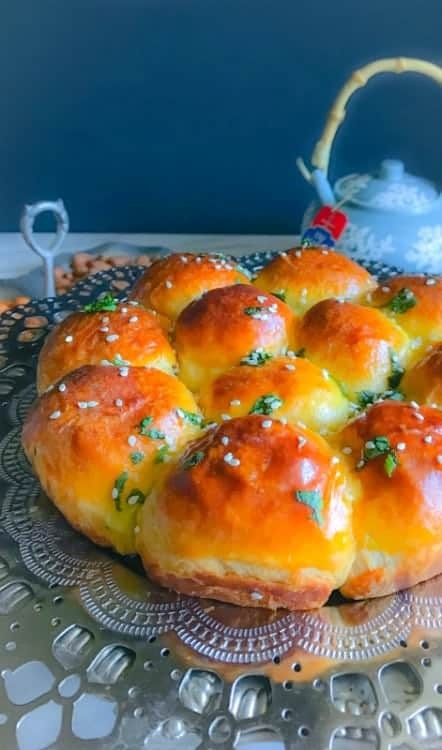 These Stuffed Samosa Curry Buns are a perfect snack to be enjoyed with Taj Mahal tea on a gameday. 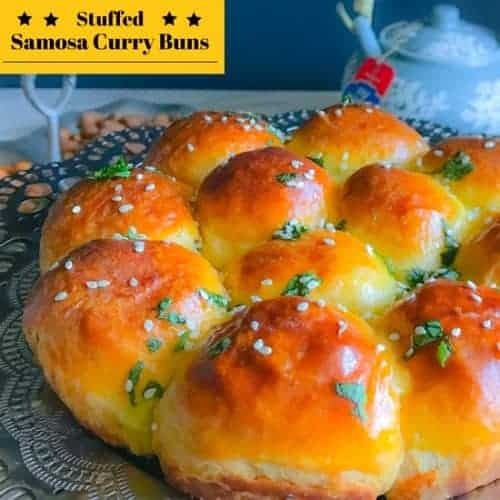 Hello Everyone, hope you’re all set for an amazing weekend, and we have just the perfect recipe to make it better Stuffed Samosa Curry Buns . Having grown up in India, we’re always craving hot snacks with a great cup of tea. And those cravings are 10 times more when there’s a game of cricket or any major sports/entertainment event involved. We are a cricket loving family (read – eat, love and breathe cricket) and the ‘ICC Champions Trophy’ (One Day International Cricket being held in England between June 1 to 18) gets underway today. So the parties are all set (different days in different friends’ house) and we are almost done with the menu too. While we decide the rest of the games’ menu, we’ve got the perfect snack for you to munch on during the much awaited India vs Pakistan game this Sunday! Can’t wait for this game to begin! The first thing that comes to my mind as an Indian snack served along with tea is ‘Samosa’! 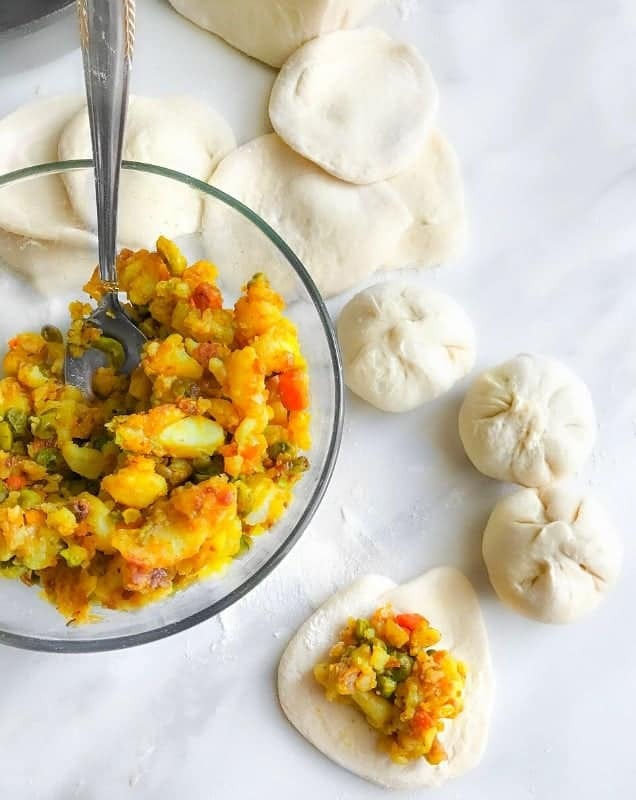 So, here I’m giving a slight twist and a whole lot of ease to our samosa recipe and turning them into these Stuffed Samosa Curry Buns which are super easy to prepare and makes a great snack with ‘Taj Mahal Tea’. 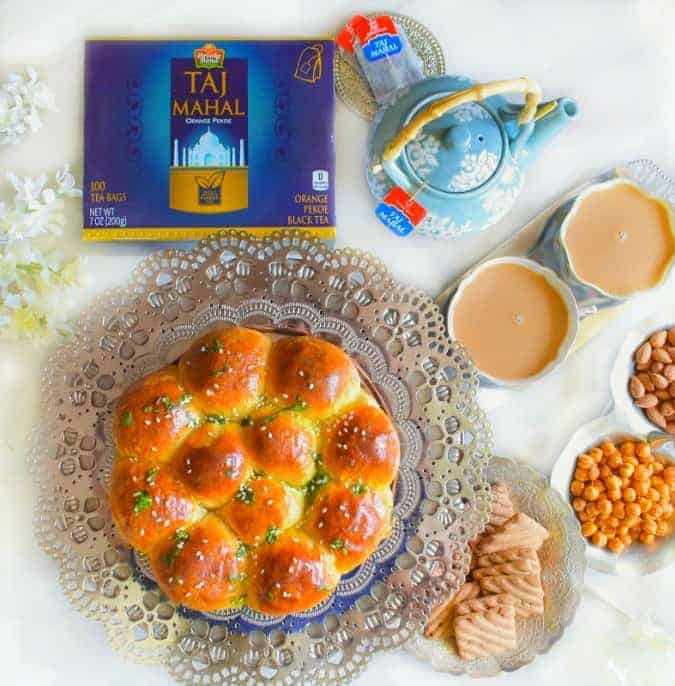 It’s one tea brand that’s been a family favorite for generations and I can never forget the moment when I first saw their advertisement saying ‘Wah Taj’. Those were the beginning era of advertisements and that particular Taj Mahal tea ad was a super hit with everyone. Definitely, check the dates near your city and make sure you visit the mentioned stores to win cool prizes or the sweepstake. Now, getting back to our Stuffed Samosa Curry Buns they are so easy to make. It took me literally 30 minutes to make the filling, stuff each dough ball and bake this golden yummy delights. That’s it this weekend and I’ll be back with another delicious gameday or as we say Cricket recipe next week. Till then, do enjoy these stuffed buns with a hot piping ‘Taj Mahal’ tea and don’t forget to say “Wah Taj” ! You can also try these delicious ‘Masala Naan Canapés with Ginger Flavored Tea‘ from my friend Sonal of Simply Vegetarian777. Soft, delicious buns that’s filled with spicy samosa stuffing with a hint of curry. Perfect Indian snack for tea/coffee or gatherings. Add frozen peas, carrots and saute for 2 minutes over medium high. (till they are slightly cooked and mushy). Now, add the spice mix and saute everything. Add the mashed potatoes and saute for another 2 minutes or till everything is slightly cooked. Take 1 tbsp potato filling and add it in the center of disc. 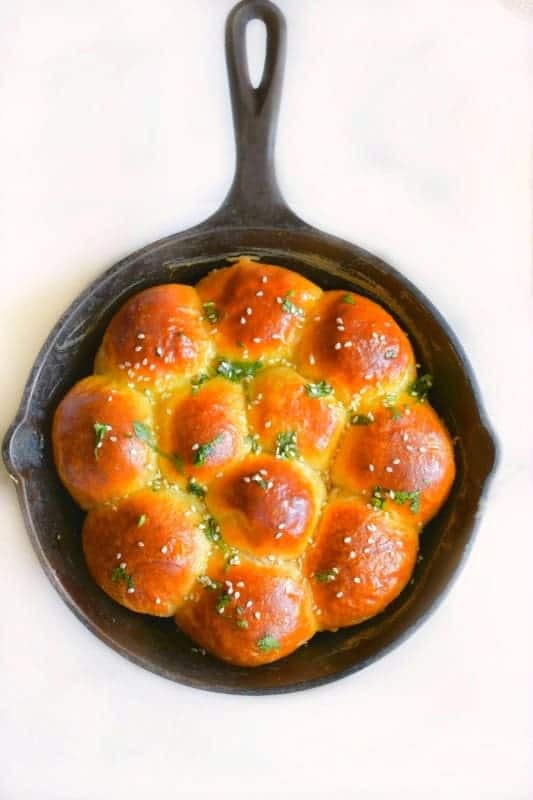 Place the stuffed bun (edges side down) in the skillet/baking pan. Similarly, fill all the buns and place them into the skillet/baking pan.
! Optional Step: If using Egg: Brush the whisked egg generously on top of each bun. Once the buns are baked, then turn off the oven. In a bowl, mix butter and cilantro leaves. 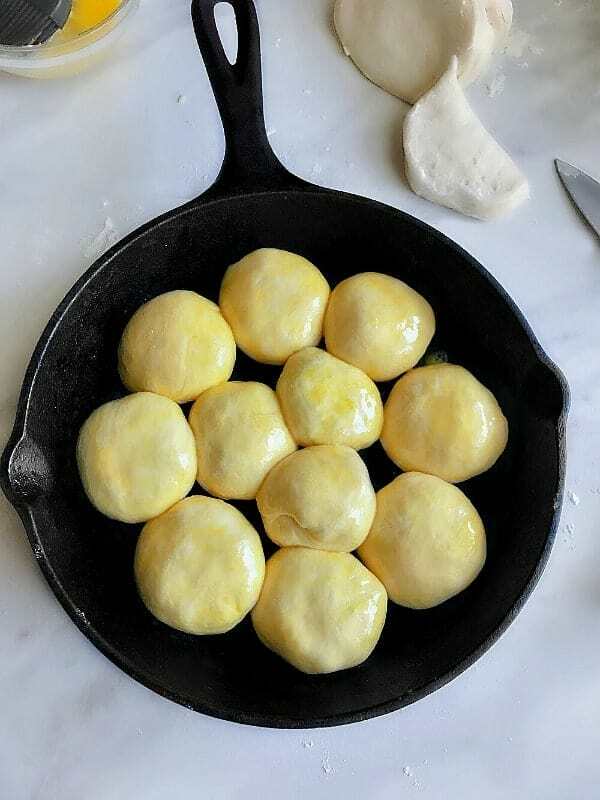 Place the baked buns outside (while still hot) and slather each bun with this butter mixture for that golden shiny crust. Transfer to serving tray and serve with hot tea. And, now for a fun and exciting part, our favorite ‘Taj Mahal’ tea is holding sweepstakes – Wah Moments! You guys can all take a shot, or many shots (1 entry per day is permitted) to win a Trip for 2 to Hawaii! 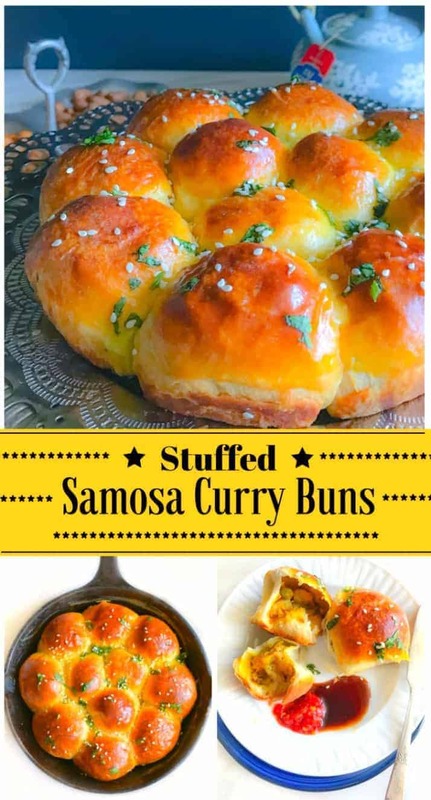 24 Replies to "Stuffed Samosa Curry Buns (Perfect Party Snack)"
Hey, Molly – going to make these this weekend. How much mashed potato do you think 4 large potatoes makes?? I have some leftover, and thought I might use them for this. These look perfect! I can only imagine the flavors stuffed in these perfect buns!! This is an amazing recipe — I love how you stuff and then bake them. What a tasty treat. I don’t know, but I’d be distracted by the delicious treats and not watch the game. But I’m also the person who doesn’t watch the Superbowl yet love the food. I’m pinning!! Have a great day, Molly!! Oh my goodness, I’m drooling over here! These look and sound like the best EVER. Definitely want to try this recipe soon! These curry buns look amazing and delectably good! I think one won’t be enough for me as I love anything with curry flavors! YUM! Teas with curry buns is always best, Perfect treat for any time of the day. 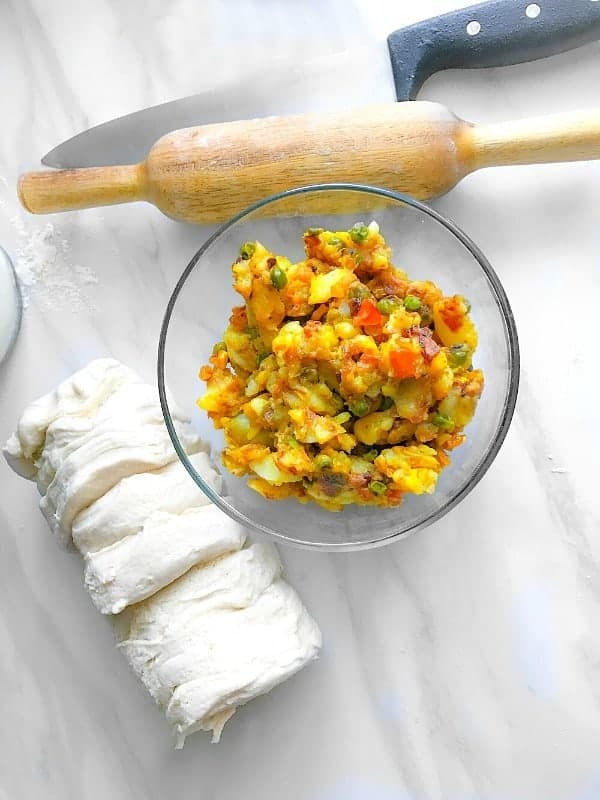 Samosa filling is so versatile it goes well with bread, puff pastries. etc. I’m not a cricket fan, but that’s not going to stop me from loving on the samosas and tea! I had samosas when I was in Hawaii years ago. I loved every variety I tried. As for tea, I’ve yet to meet a tea I didn’t like LOL! This recipe looks easy enough to whip up no matter what the afternoon entertainment might be. This is such a great idea. I never heard of these but they sound delicious. And they look gorgeous as well. Would be perfect served for brunch. I love using my cast iron skillet, and I love bread. These sound like they are packed with delicious flavour. Perfect to make on the weekend. Aweee, I’m glad the recipe reminded you of mom’s cooking. 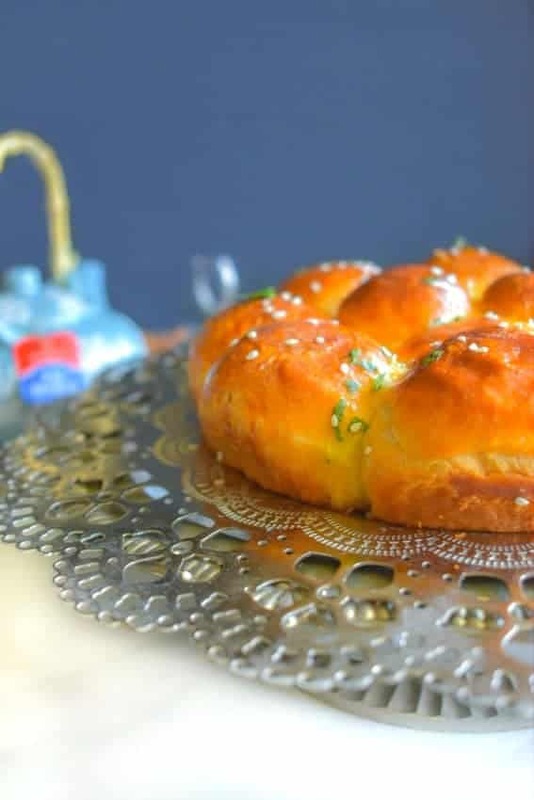 Our mom’s had such magical ways of making food delicious and pretty…Everytime I cook, I hope I can make it as delicious as my moms cooking 🙂 I hope you try these buns soon! These beauties are just too yummy!!! 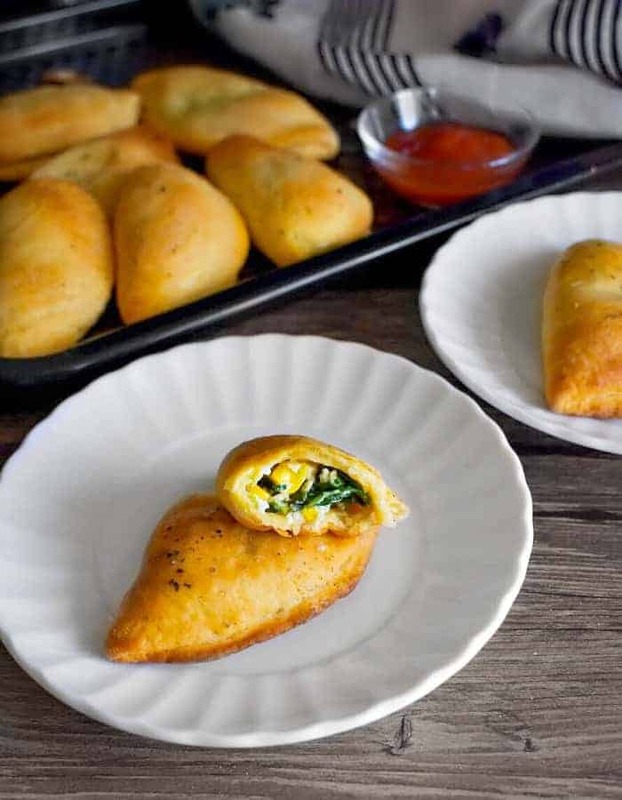 The filling sounds amazing, and love the combination of spices.They are baked to perfection! OMG This is freaking awesome!!! I just baked my PAV buns from scratch… the next time I make them, this filling goes in first! Yumm! Thanks Tina, They are Simply Amazing & you HAVE to try them soon !! !